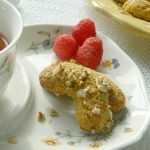 Almond Crescent Cookies – This simple recipe for yummy cookies is made with healthy ingredients yet tastes decadent and buttery tasting. 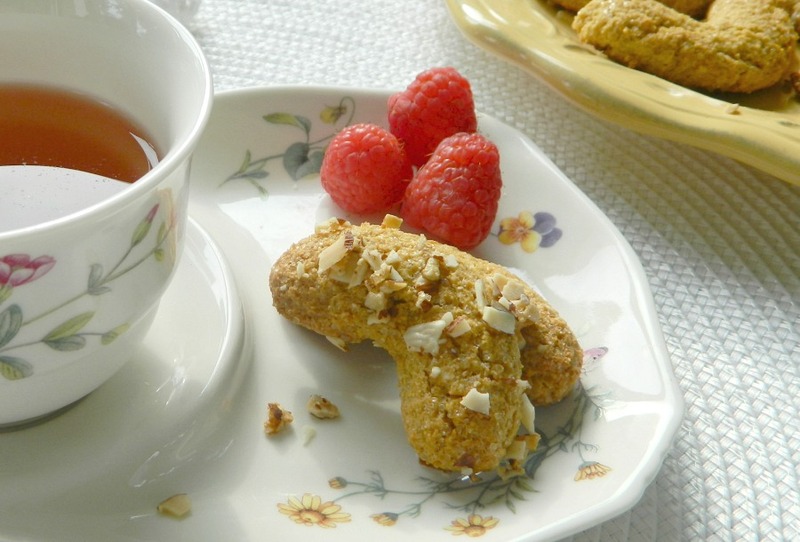 Enjoy as a dessert, snack, or even a breakfast cookie. Here’s a recipe that I made up the other night. I wanted to use up the last bit of Almond flour I had before opening a new bag. I was so happy the way these turned out. 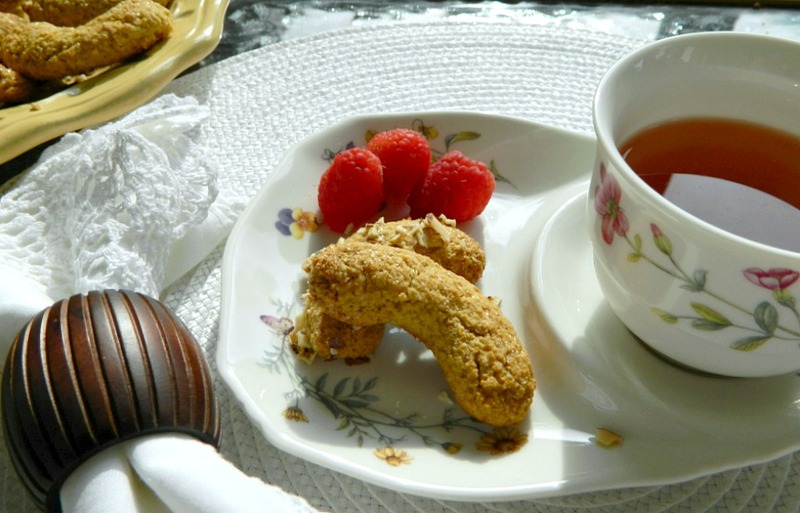 These cookies are almost like a biscotti but so much easier and faster to make. They are gluten free as well. I’m not kidding when I say this, they were gone in 20 minutes after they cooled. My kids and husband went crazy for them and I have to admit, so did I! Preheat oven to 360 degrees, line a baking sheet with parchment paper and set aside. 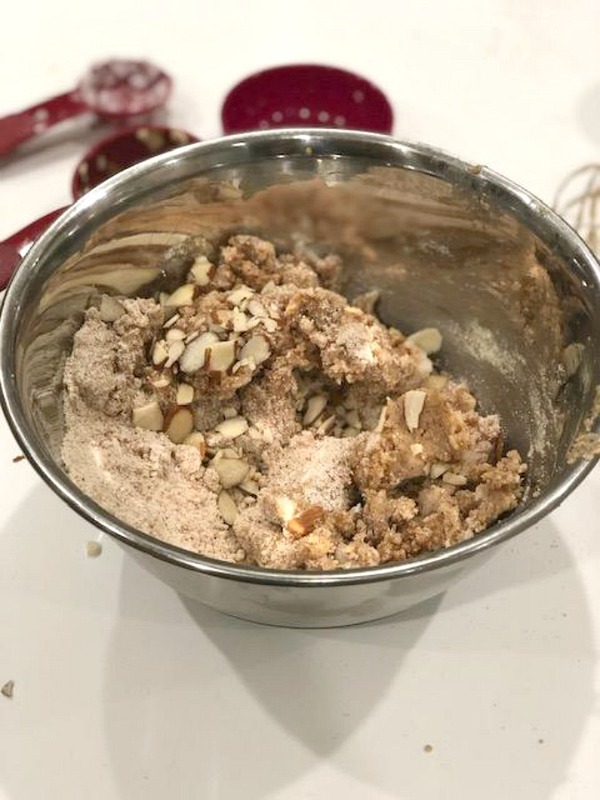 In a medium to large mixing bowl, add all ingredients and mix well. Make sure you dig down to get all the dry ingredients incorporated into the batter. Roll into 12 to 14 balls place on cookies sheet. Put in fridge for about 15 minutes to firm up just a bit. 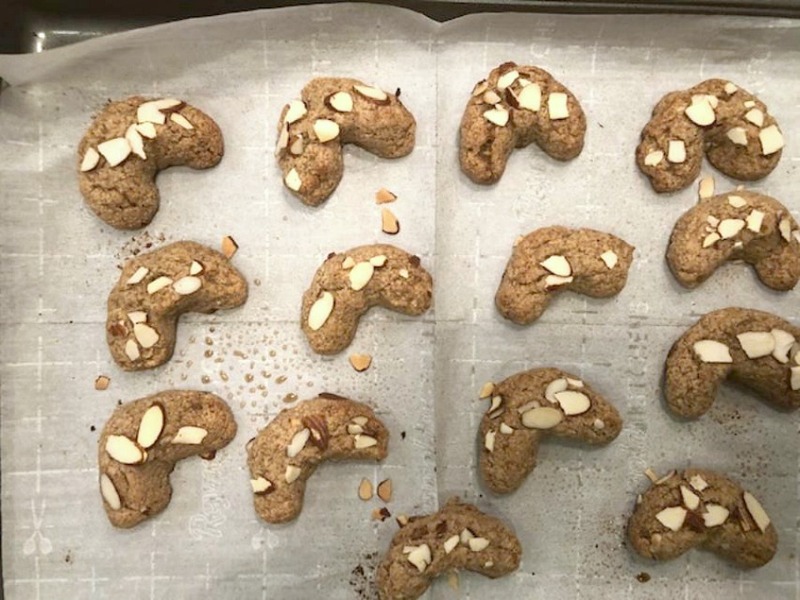 Take out of fridge, shape into crescents. 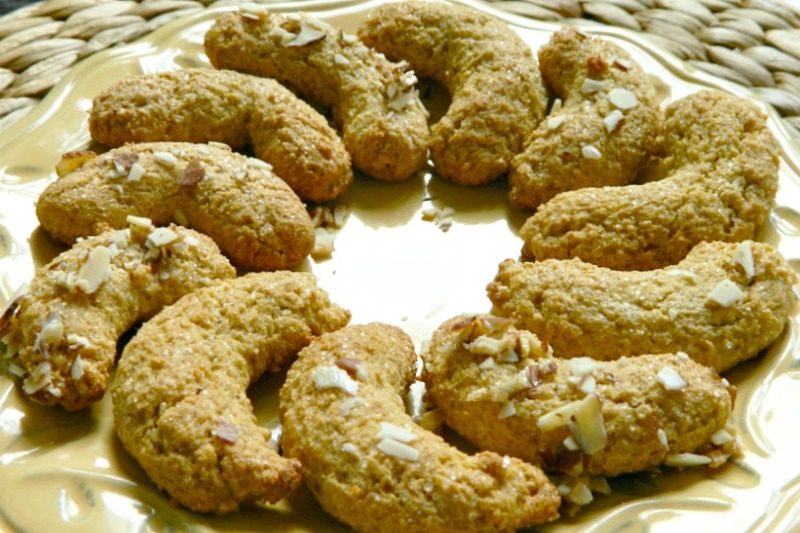 Top each cookie with a few crunched up almond slivers. Bake for about 9 to 12 minutes. Check after 5 and turn the pan around. They should be lightly browned and the bottom should be a little darker brown. Let cool and enjoy! Note: Cookies crisp up on the outside and stay chewy on the inside when cooled down. Keep in an air tight container for up to 2 days. 1.In a medium to large mixing bowl, add all ingredients and mix well. Make sure you dig down to get all the dry ingredients incorporated into the batter. 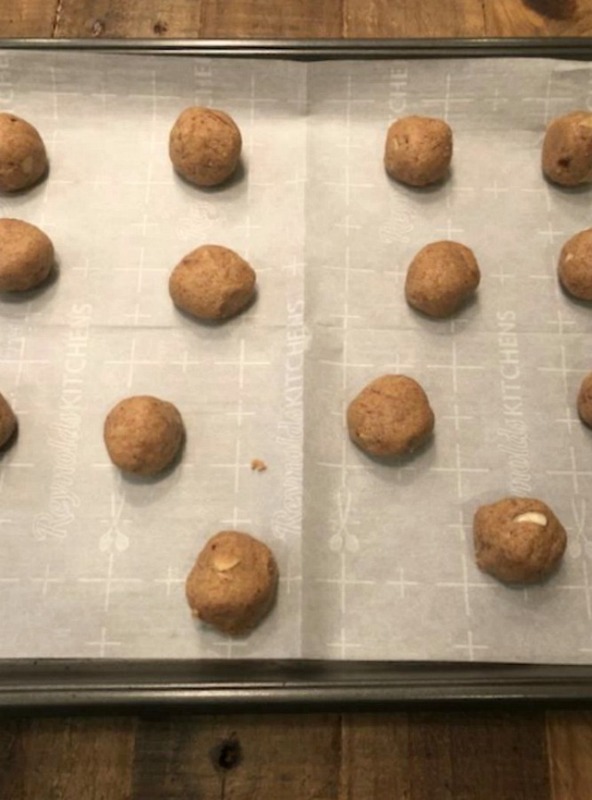 2.Roll into 12 to 18 balls place on cookies sheet. Put in fridge for about 15 minutes to firm up just a bit. 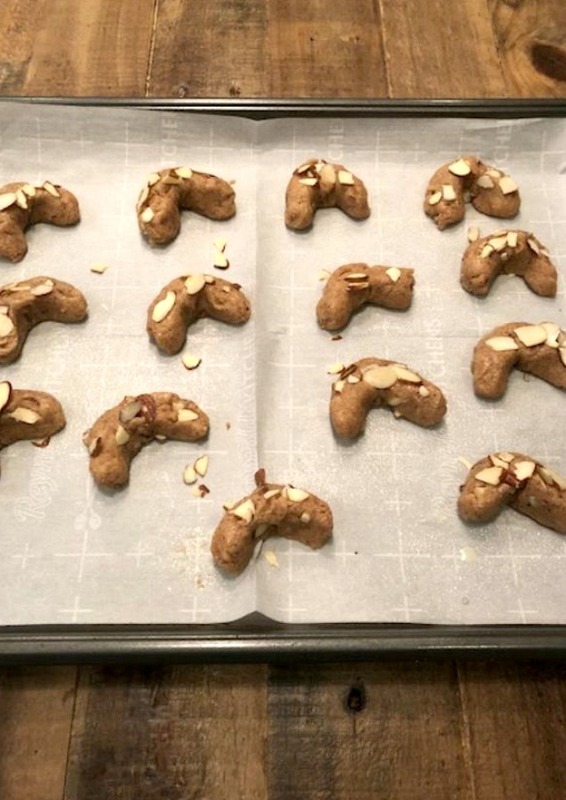 Take out of fridge, shape into crescents. 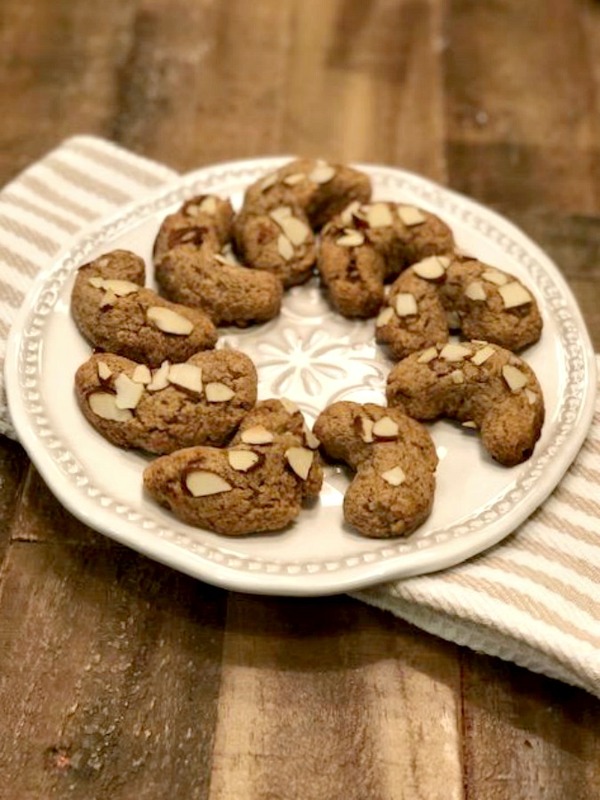 Top each cookie with a few crunched up almond slivers. 3. Bake for about 9 to 12 minutes. Check after 5 and turn the pan around. They should be lightly browned and the bottom should be a little darker brown. Let cool and enjoy! Note: Cookies crisp up when cooled down. Keep in an air tight container for up to 2 days.